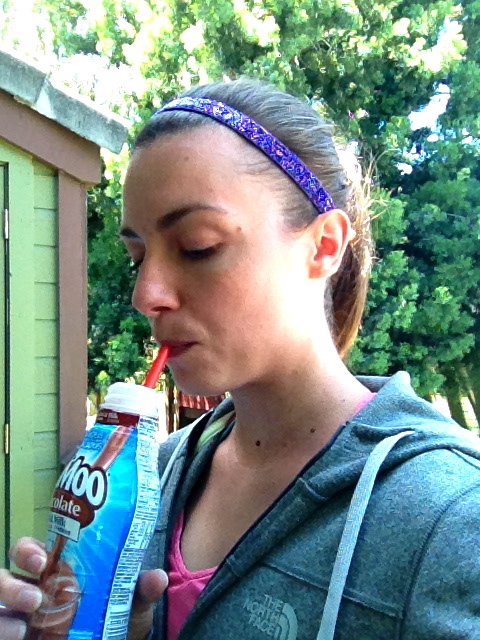 Running Reader Q: Chocolate Milk Gives Me Gas. Should I Still Drink It For Recovery? It sure is tasty, but chocolate milk doesn’t do every body good. Chocolate milk is an OK option for those who can stomach it. In fact, studies have shown brown moo juice works just as well as (and in some cases, better than) big name carbohydrate replacement drinks—and it costs less, too. But just because it’s cheap (or free when it’s handed out at the post-race hydration station), doesn’t make chocolate milk the best thing to swallow. You body needs readily available protein and carbohydrates after a tough run to restore glycogen levels in your muscles. But the empty carb sources in chocolate milk (namely, sugar or high fructose corn syrup) are just that. They don’t offer any other beneficial nutrients. Don’t get me wrong—I love a cold mini-carton every now and then, too. But I think of it as a treat, not a finish line must-have. Jennifer plans to skip the freebies and rely on snacks stashed in her car next time. Her new recovery plan: Plain water, an apple or a banana, and a protein bar. What do you think about chocolate milk? Is it a post-race yummer or bummer?